After the death of his girlfriend, Ennis Roth finds himself thrown into a world of warring, supernatural beings. One of the most surprising things about “Supernatural,” considering its remarkable longevity, is that it has taken until now to get the ball rolling on a spin-off. Here we are, nine seasons in (! ), and we have “Supernatural: Bloodlines,”the potentially upcoming new series set in the “Supernatural” universe. For those who don’t know, a backdoor pilot is a clever way TV executives can test out a potential spin-off by introducing the concept into an already existing show. This week’s episode, “Bloodlines,” did just that by showing us the ins and outs of the monster scene in Chicago. This wasn’t a great episode of “Supernatural” by normal standards, but a lot of that had to do with the fact that they had to pump a lot of information into one single episode. Taking that into account, this was a pretty good start to the potential spin-off. 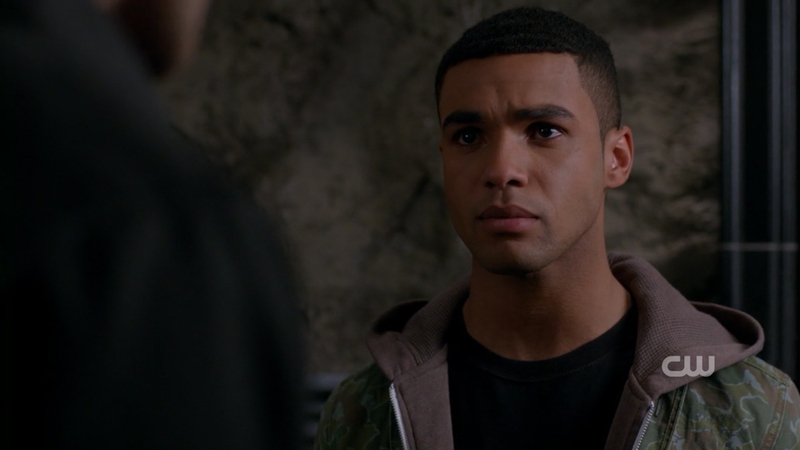 Sam and Dean were used very sparingly here as we spent the majority of the episode with two newcomers: human hunter Ennis Roth (Lucien Laviscount) and shape-shifter David Lassiter (Nathaniel Buzolic). Ennis acted as our gateway into Chicago’s supernatural side as he lost his girlfriend to a “faceless figure” and set about seeking vengeance. Along the way, he runs into Sam and Dean who let him know exactly what their real job is, and as quick as a flash, Ennis is on his way to becoming a hunter. David helped liven things up on his side as we learn that he’s a member of a powerful shape-shifting family. David had spurned this side of his life in favor of a more human existence at college but returns to his family after the death of his older brother. This side of things really helped make the world of “Bloodlines” very interesting indeed, as we learn that Chicago is being run by a Mafia-esque system of supernatural families. So far we know of the shifters, werewolves and the Djinn, and the other two families remain unknown. Considering that “Bloodlines”shall be set solely in Chicago, the possibility of warring factions of supernatural beings is a fascinating concept. What didn’t entirely work here was the tacked on romantic subplot involving David and his ex-girlfriend Violet, who just so happens to be the head werewolf’s sister. It has that whole “Romeo and Juliet” forbidden love vibe that we’ve seen so many times in the past. The only interesting part of it for me was that their earlier break-up was due to the interference by David’s brother, but considering that he is now dead, I’m not sure how much drama can come from that particular plot point. Hopefully moving forward this story can develop a bit more (Violet’s brother Julian certainly seems like he could be a decently vicious villain), but their scenes together were the most eye-roll inducing of the night. Ennis shooting the killer, who was just a normal guy, was a nice moment from the character. Right from the start, he’s headed down a very dark path and that could really make the series interesting. That, coupled with the fact that his father seemed to have some knowledge of the supernatural, sets Ennis up nicely as a strong lead character for the potential series. David, romantic issues aside, is the more light-hearted of the two, and his shifting abilities open up plenty of avenues for the writers to explore on a weekly basis. While the acting was a little shaky at times, both actors did a pretty solid job, and Ennis and David could end up being a very likeable pair if the show gets a full series order. So, as “Supernatural” episodes go, this wasn’t up there with the best, but “Bloodlines” managed to lay down a pretty strong foundation for the potential spin-off series later this year. Stories of feuding monster families and mysterious family secrets are always fun, and I’m looking forward to seeing the“Supernatural” universe condensed into one city. In the meantime, Sam and Dean are back to business next week and if that phone call at the end of the episode was any indication, they’ll be hot on the trail of Metatron. Are you interested in a “Supernatural” spin-off series? 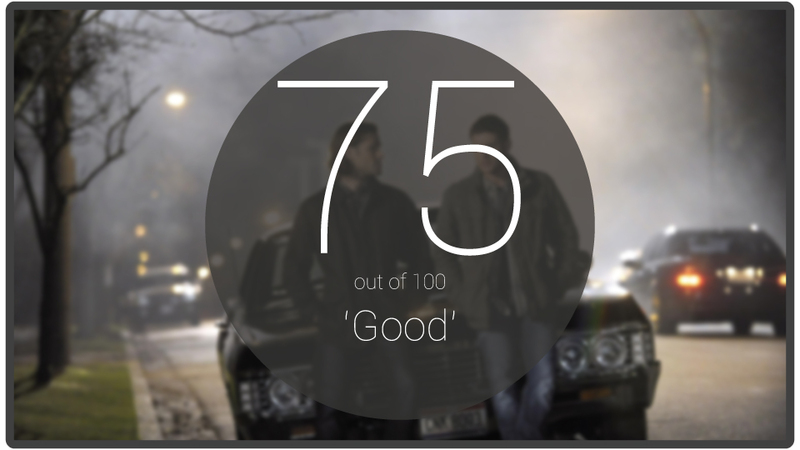 Just want years and years of more Sam and Dean? Let us know in the comments below.